Home | News | NACS has a Podcast! Fortunately, there’s audio. 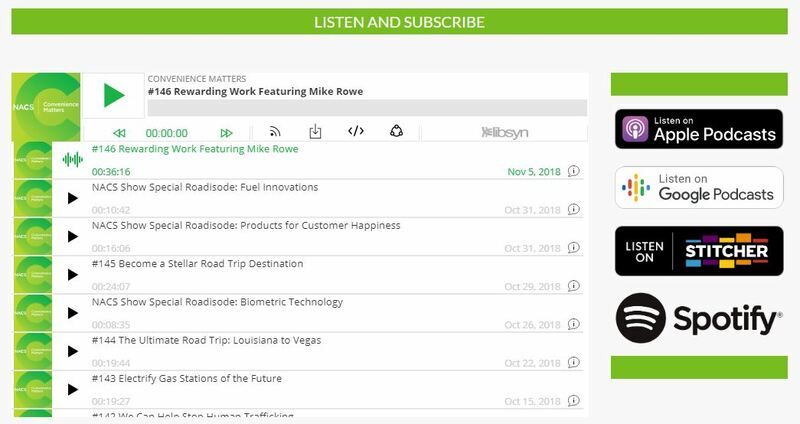 Podcasts and radio programs can bring you the research, news, and insights relevant to you, and all on-the-go. 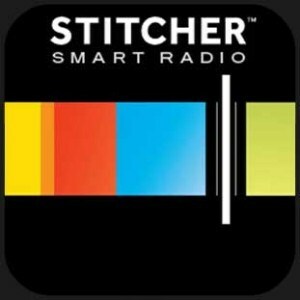 The National Association of Convenience Stores has their own podcast! Convenience Matters is a free, weekly podcast about the state of the c-store industry, and what the future may hold. Podcasts are episodes of a program available on the Internet, usually in an audio format. Podcasts are a way to enjoy great content from around the world for free! All you need is a computer or a smartphone. Each episode of Convenience Matters features industry leaders, partner organizations, celebrities and c-store fanatics, discussing current challenges in the industry, inspiring personal stories, best practice tips and trends. Episodes in October have featured conversations with Mike Rowe (Dirty Jobs) about the skills gap and opportunities for workers in the c-store retail industry, and a review of the 2018 NACS Show, with product reviews, exhibitor reviews, and more. To listen to the NACS podcast, search “Convenience Matters” on your podcast app, or visit: http://conveniencematters.com/episodes/ on your computer. iPhones come preloaded with a podcast app.